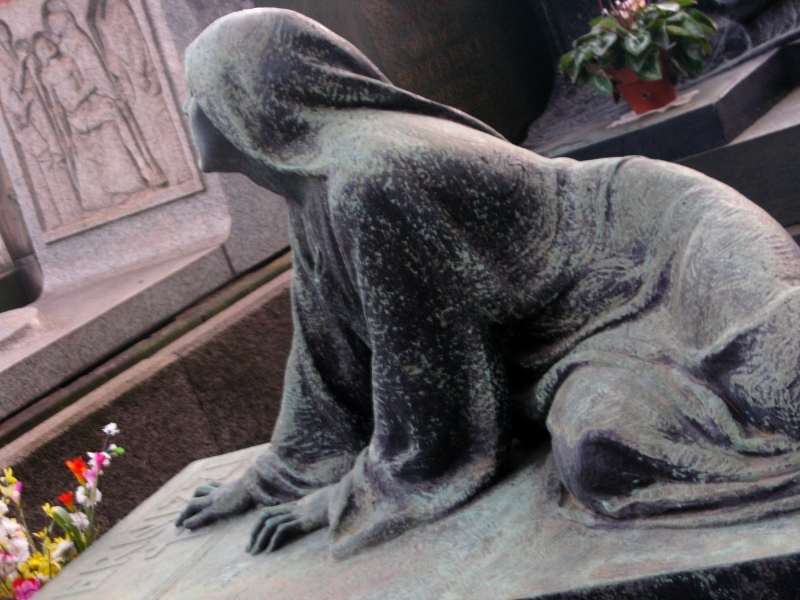 In Milan a couple of weeks ago, I was a little taken aback to see a woman, lying prostrate on a grave, her grief palpable, her sorrow tangible. Coming from a country that would rival Britain in its stoicism at times, such public displays of emotion are not what I’m used to. I’ve been introduced as a cemetery tourist by a friend in Malta. And yes, my fascination with how we remember our dead and mark their passing is one I’ve readily acknowledged. That said, I’ve managed to get this far in life without ever laying eyes on a corpse, despite the numerous funerals I’ve been to. And being from a people who wake their dead at home – this is odd in more ways than one. I just can’t bring myself to look upon a corpse. A body emptied of its soul is something beyond my otherwise virile imagination. 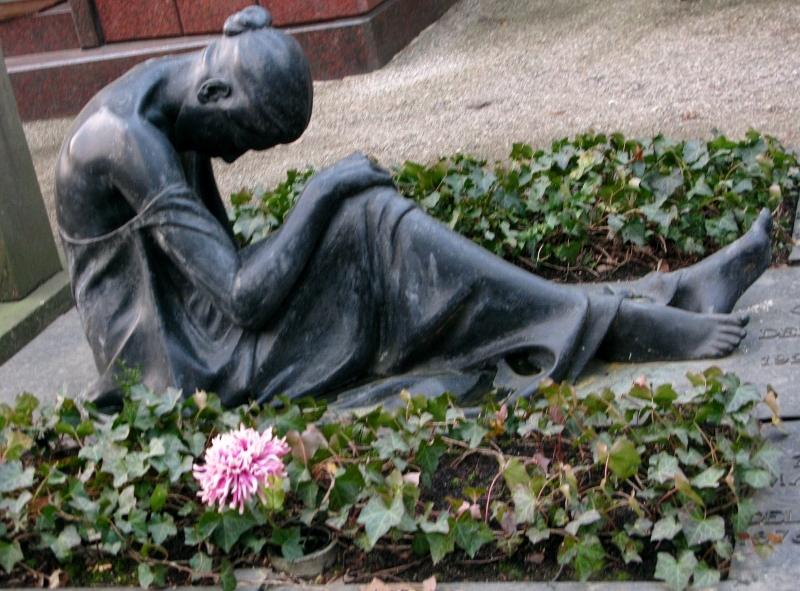 The simplest and most moving cemetery I’ve been to is the Bernadinu kapines in Vilnius, Lithuania. The most different perhaps the Alifakovac cemetery in Sarajevo, Bosnia and Herzegovina. The most educational (for me) has to be Glasnevin cemetery in Dublin, Ireland. 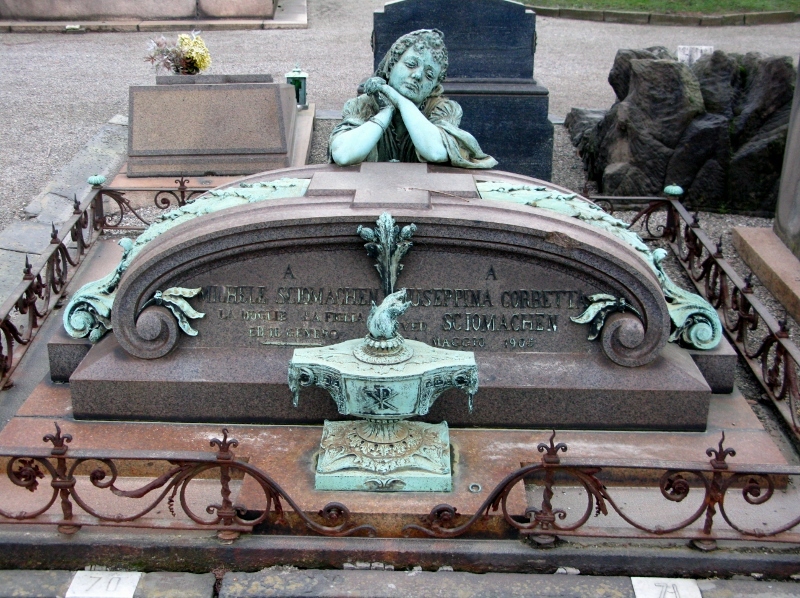 And, up until now, perhaps the most impressive cemetery I’ve been to in terms of sculpture was the Mirogoj cemetery in Zagreb, Croatia. 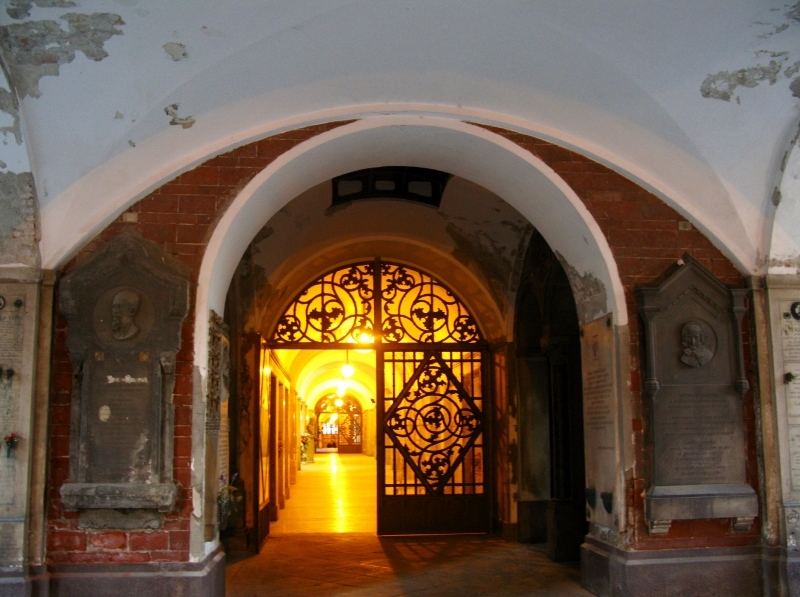 But Mirogoj has relinquished its No. 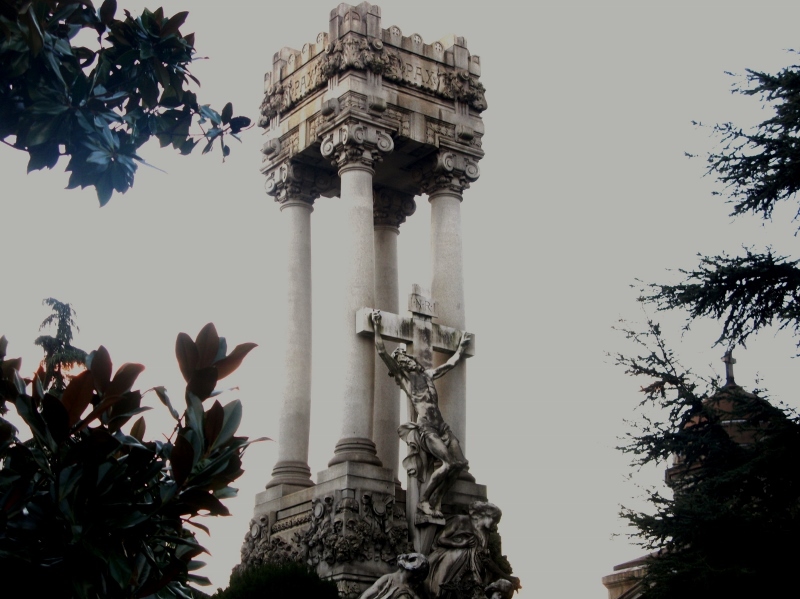 1 spot to the Cimitero Monumentale di Milano. 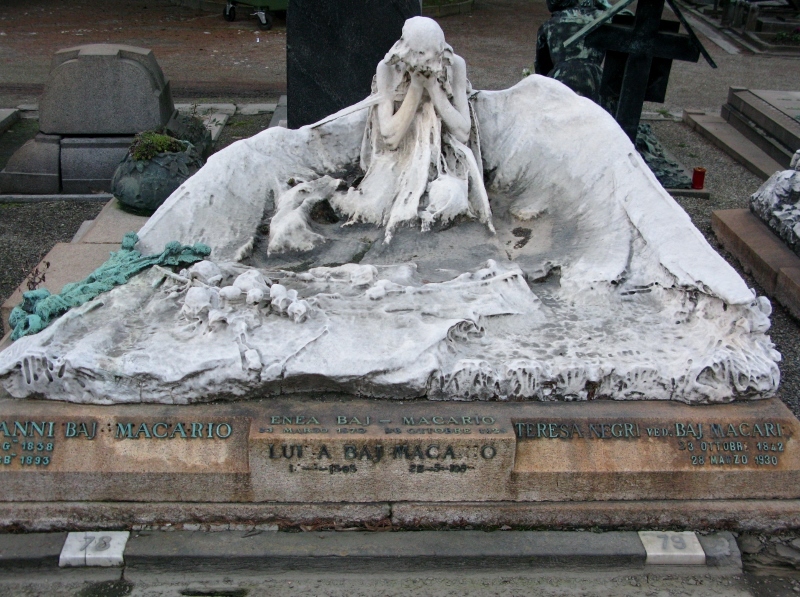 Up to 1861, Milan had many small cemeteries scattered around the city. 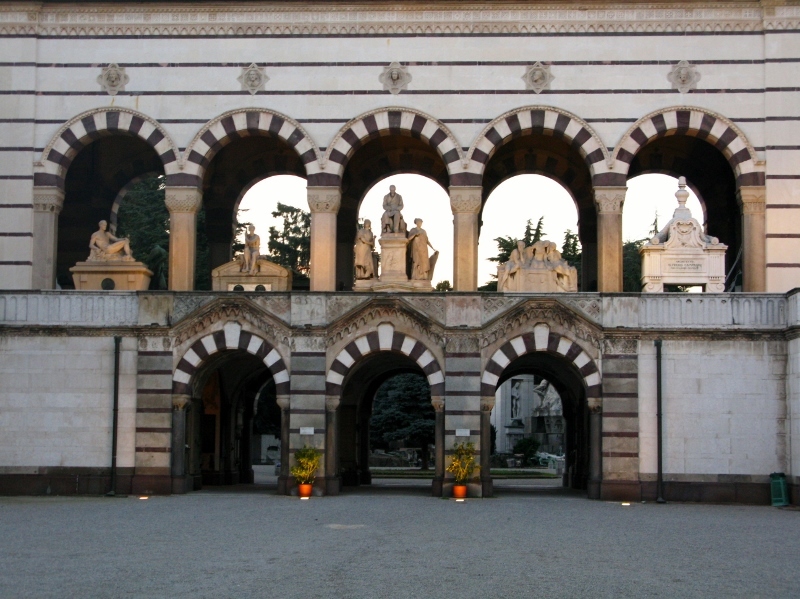 After Italian independence, a decision was made to consolidate them into two: one for the upper echelons of society and another for those whom fame and fortune had bypassed: Cimitero Monumentale and Cimitero Maggiore, respectively. What started as an 18 hectare expanse, taking three years to lay out, Cimitero Monumentale now occupies 25 hectares of this Italian city. Wandering its paths is like walking through a virtual who’s who of Italian creative aristocracy featuring such luminaries as poet Salvatore Quasimodo, composer Giuseppe Verdi, and novelist Alessandro Manzoni. Names like Pirelli and Campari all ring bells of vague recollection, testifying to the longevity of Italian business empires. 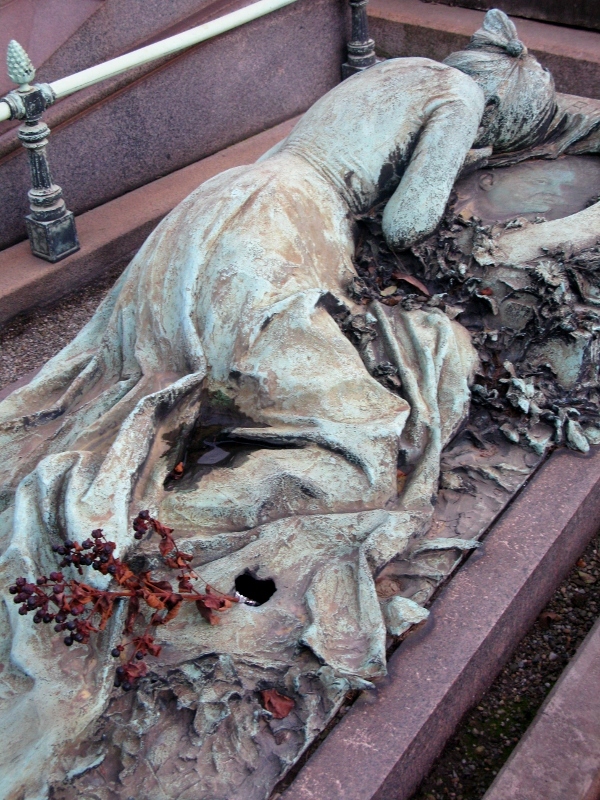 To my mind, cemeteries are some of the best museums out there and don’t get the recognition they deserve. Anyone with a love for Italian art won’t be disappointed. The works of Giannino Castiglioni, Giacomo Manzù, Medardo Rosso, Leonardo Bistolfi, Ernesto Bazzaro, Odoardo Tabacchi, Adolfo Wildt and Argentine artist Lucio Fontana are all represented. Don’t make the mistake we made: come early and plan on staying for a few hours. There is so much to see and marvel at that you won’t feel the time passing before the siren marking 30 minutes to closing sounds and the man on his bike does his rounds to make sure that all living souls leave before the gates close. 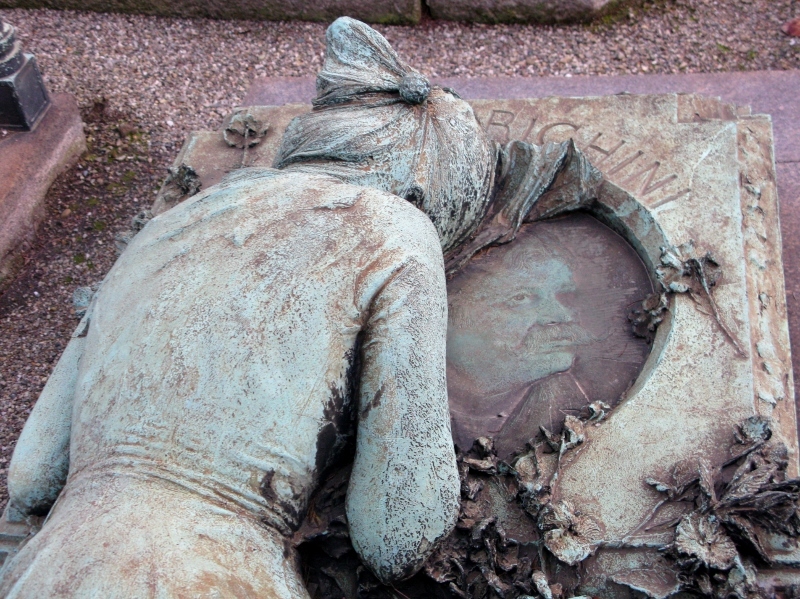 While there are many beautiful monuments to be seen, what struck me was how the grieving woman was depicted, time and time again. It’s something I’ve not noticed in other cemeteries – at least not to the same extent. And their numbers made the absence of grieving men even more remarkable. There’s a thesis to be written on that. If you’re in Milan and have time, it’s worth dropping by. No. Scratch that. If you’re in Milan and don’t have time, it’s worth making time for. Kerepesi temető has its fair share of grieving ladies though none, as I recall, as dramatic as those in your photographs. I absolutely agree with you on the cemeteries-as-museums point – they say so much about a country’s past (the interesting ones, at least). At the same time, I am relieved this custom of portraying women as devoted, grieving wives/mothers/homemakers/spirit of the nation is a thing of the past – or rather that I do not live in such times! I’ve been to Kerepesi a number of times and now that you say it Ben, it does have some grieving ladies. I wonder whether they’re more obvious in Monumentale because it’s more densely packed? Or because as you say, they’re more dramatic. Whatever the reason, I found it a little disquieting – particularly in the absence of grieving males. They are pretty amazing though – and it’s a little sad, perhaps, that the monuments we build today are rather nondescript and serviceable. 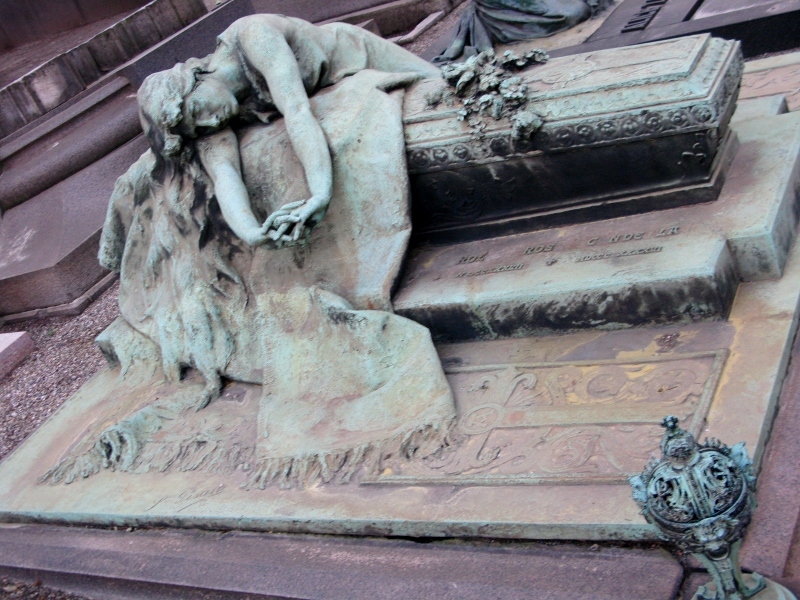 Mind you, I remember being in a cemetery in Manchester and seeing some of the modern-day monstrosities there…. We men like to think that our wives, girlfriends, lovers will grieve forever. I for one think women will move on. Some a little too soon. I am a born-again heathen and have no soul so I care little what happens with the body that was once me. Stack that body out with the garbage on collection day. However, I am making provisions to pay several young beautiful actress types to wail and keen at my services. mmmmm… services at the tip then Arturo? Should have said funeral services. Last night Roberta & I saw the documentary “There Once Was”. Before World War II between 500 & 1000 Jews lived in Kalosca. Of course there is none there now. The film is the story of one Catholic School teacher that starts to research what happened to these people. You may not be able to find that film in Hungary. There is a small Jewish cemetary there. Probably not worth a special trip there but for sure worth it if you are in Kalosca. The story of what happened in Kalosca was duplicated throughout Hungary and much of Europe. If you want I will try to find a copy of the film and send it to you. I think the point is that women are better looking and therefore are first call for statuary. And of course, one has to wonder quite who is actually paying for the monument, and what bearing that might have on the question. So unusual that I’ve not come across it before Bernard. There are soooooooooo many there, it’s remarkable. And yes, perhaps it has something to do with the Italian psyche and the role of women in Italy. I was visiting N.E.Italy last year and looked around a lot of beautiful churches, it struck me that many had been spoilt by rich Italians (royalty etc.) being allowed to atchieve immortality by having a tomb within the church………money clearly spoke and biggest was believed to be best with the richest local families competing with each other for attention, generally the effect was dreadful and for me quite distasteful. I’m not saying that the individual tombs were not interesting but as ‘furniture/ornamentation’ within a beautiful church, they should not have allowed through the chuch door. It leaves me to think about the morality of having the biggest and most dramatic tomb in a graveyard………what is it for, to comfort the family or to let everybody know how rich and powerful the family of the dead person is. If you want to see a modern tomb to beat all others look up the Brion-Vega Cemetery designed by Carlo Scarpa (my favorite architect) ……..again the family has a huge hyper sized tomb, they allowed the architect to be buried next to it……….he has a simple headstone with just his name, date of birth and death marked, yet more people will know his name than the family of Brion-Vega. I wonder where the pyramid designers were allowed to be buried………..
There’s a similar thing here in BP. Famous author with a simple wooden cross. Makes me even more determined to leave instructions for my disposal… just in case anyone runs away with themselves.